We put the Roomba i7+ and the Neato D7 through a bunch of tests, and in this article, we will summarize those results and pick which robot vacuum cleaner we think is the best. We’ll get into all the cool new features of each of these robot vacuums later on in this comparison which we think will be the deciding factor in choosing a winner in this competition. But first we want to jump right into the tests. We tested the air flow of both robots and found that the Neato D7 was more powerful than the Roomba i7+. The i7+ only has one power setting which we measured at 17 CFM while the Neato D7, which has two power settings, actually has the same power as the Roomba i7+ in its low power mode, 17 CFM, but the Neato D7 jumps to 20 CFM in its high power mode. We should mention that either way those numbers are pretty high for robot vacuum, and it showed in the pickup test we did. They both were absolutely great with carpets, picking up everything we put down, from fine debris to pet hair to extra-large debris. We tested the Neato twice since it has two power settings and found that it did just as good in its low power mode with no noticeable difference. On hard floors where airflow was a bit more important, we found that they both picked up all the debris in the test, but the Neato tended to pick up more on its first pass in the Roomba did. The Roomba does have what iRobot calls “dirt detect”, where it makes several passes when it detects large amounts of debris. In general, we found the Neato D7 to be slightly more effective on hard floors and tended to kick debris around less than the Roomba did. So although the Roomba did better than 99% of robot vacuums out there, the Neato D7 was slightly better at cleaning, at least on hard floors. As far as navigation, they are both top of the line, smart navigation robots, meaning that instead of randomly pin bowling around the house, like cheaper robot vacuums. These robot vacuums use cameras, in the case of the Roomba i7+, and invisible lasers, in the case of the Neato D7, to clean in efficient straight lines while using various sensors to navigate around obstacles. In practice, we found that there was no significant difference between the two. They both were very good and had terrific obstacle avoidance sensors and were very efficient in cleaning all of the areas of the house. The main difference was that because the Neato uses lasers instead of cameras, it doesn’t require the lights to be on in a room like the Roomba does. Also, the laser navigation of the Neato D7 does allow it to do some pretty cool things that the Roomba i7+ can’t do. But in general, we would say that as far as navigation is concerned, it was a tie, and they were both extremely good. With battery life, the Neato D7 wins as it has two hours per charge on its low power setting and 75 minutes in its turbo mode, while the Roomba i7+ has only 75 minutes in its one power setting. Both of these robots will automatically return to the dock to recharge and will resume cleaning where they left off. With the dust bin tests, it gets a little complicated. The Neato D7 has one of the biggest dustbins on the market, which we measured at a whopping 2.5 cups, while the i7+ is one of the smallest and about one cup. But the iRobot Roomba i7+ also comes with a clean base which is an absolutely amazing feature that automatically empties the bin every time it docks. We absolutely love the clean base and think it’s probably one of the best features on a robot vacuum since their invention. So this may be a little unfair, but we’re going to give the dustbin category to the i7+, despite the Neato having a much bigger dustbin. Moving on to features starting off with what they both have in common. They both have apps where you can schedule cleanings from anywhere and are compatible with both Amazon Alexa and Google Assistant. They both are capable of having multiple floor plans for multi-floor homes. Though the Roomba i7+ will remember ten floor plans, while the Neato D7 will remember only three. But seeing as how these are among the first robot vacuums to ever offer more than one-floor plan, it’s pretty cool. They both now have a feature that allows you to choose which room to clean. 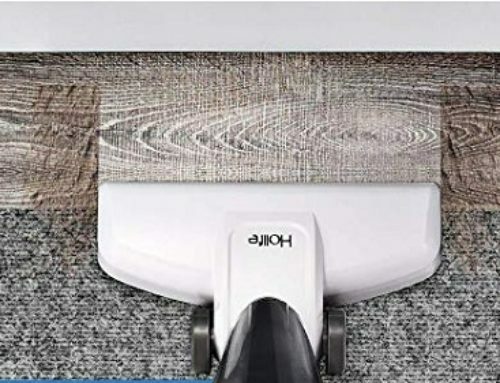 So if you have a high traffic area, you can have them clean that room more. 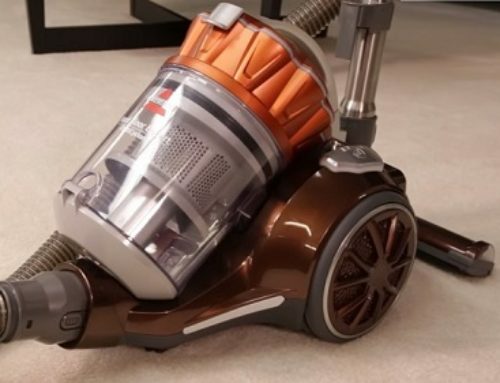 Finally, we have what we think are the deciding factors: the two best features on each vacuum. Let’s start with the Roomba i7+ which has the clean base which is a large charging dock that has a bag inside that pairs with the dustbin on the robot whenever it docks. When it docks, a suction motor kicks in and it empties the dustbin into the bag. iRobot says the bag can hold up to 30 full dustbin’s worth of debris. 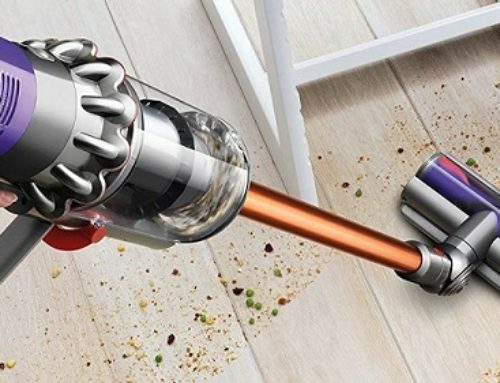 This really is revolutionary to me, because with other robot vacuums we’ve owned, it never really felt like we had a truly automated cleaning system because we would have to basically babysit the robot vacuum during its run and empty the bin several times. So we’re pretty excited about this feature, and we didn’t have a single problem with its operation during our tests. But the Neato D7 has what it calls “floor planner” with no go lines. This is where you can use the app to draw unlimited lines to prevent the robot from going certain places. So you never have to worry about the Neato getting stuck or going somewhere it shouldn’t go. Its laser navigation makes this incredibly accurate and we honestly think it’s a must-have feature, especially if you have a somewhat cluttered house where the robot is likely to get stuck in multiple places. And when you compare it to the Roomba’s included virtual wall barrier, which can only keep the robot from one area at the most, it really shows the value of the no-go lines. So the bottom line is that we think the Neato D7 is the better robot by itself. But it’s not that big of a difference as the Roomba i7+ is a fantastic robot in its own right. But they both have something that the other doesn’t that could make all the difference to you, whether it’s the Roomba’s clean base or the Neato’s no go lines. So we guess it depends on what’s more important in your situation.